While cruise line operators cannot be blamed for every accident that occurs on board a ship or during an off-ship excursion — they are responsible for a significant percentage of these accidents and injuries. 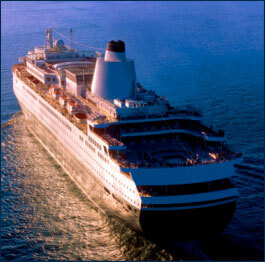 At Seattle Maritime Attorneys, we have extensive experience helping cruise ship passengers bring maritime injury claims to court in Washington state and in courts nationwide. Wherever or however you suffered your injuries, you can depend on us to work closely with you throughout the process, to provide the answers and information you need to make sound decisions about your case, and to aggressively seek the compensation and benefits you are entitled to receive. Contact us and let our attorneys start working to protect your interests today. There are two important steps in the process. First, for claims involving personal injury, illness or wrongful death, you must file a written notice of claim that includes a full statement of the facts and legal claims you intend to assert within six months of the date of the injury, illness or accident giving rise to the claim. Second, you must actually file your lawsuit within one year after the date of the injury, illness or accident. Call us today for a free consultation. You can reach our offices at 877.800.1007 (toll free) from anywhere in the United States. Please feel free to contact Norwegian Cruise Line passenger injury attorneys John Merriam and Gordon Webb by e-mail as well, at any time, day or night.